No, I don’t believe Einstein said that. And I don’t believe this is what would happen. We put words in famous people’s mouths and make them stronger! We impress with them and enjoy being impressed and encouraged by them. Einstein was a genius and he said that, so beware! hmmm….. I don’t believe he said that about the bees. Just as he didn’t say anything about the disappearance of any other insect or mammal from the surface of the Earth. Why would he had thought of this? And even if he did say that, this sentence would have been correct only for his time. Not for today. The technology is today so advanced, that humans would certainly did not disappear in 4 years after the disappearance of bees. This is hilarious. I’m sure you all know about today’s weather stations. You don’t? Well, the technology today can even influence weather, not only create FB. There are so many things, robotics has incredibly evolved, agriculture is far from what it was 50 years ago. I bet Einstein himself would be surprised! Of course they have discovered everything we need, only that it was decided that the planet does not need it right now. I’m sure some of you understand what I’m saying. Here is “robobee” the future pollinating bee, just in case our “Einstein” was right! 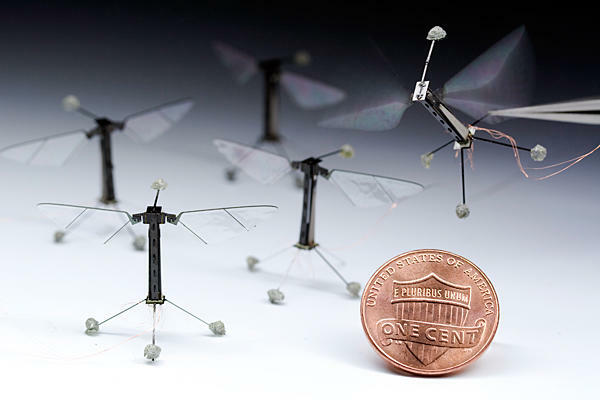 It’s a tiny little robot, capable of tethered flight, which was developed by a research robotics team at Harvard University, in 2013. It has artificial muscles capable of beating the wings 120 times per second. Did Harvard University receive a top secret info that the pesticides would always be used and that they should start thinking of an alternative way of pollinating crops? To anybody this assumptions is hilarious, of course. They declared that the Robobee project was to make a fully autonomous swarm of flying robots for applications such as search and rescue and artificial pollination. Considering we have enough money on the planet to ensure the necessary number of pollinating robobees, and their energy source, why do we still complain? Bees are dangerous stinging creatures not purring cats with funny faces to film and post on social networks. Not playful dogs, not chirping colorful parakeets. But they do make honey! And honey is FOOD. It’s healthy food. And one that hasn’t yet been completely discovered. Scientists do not yet know all the substances that enter its composition, do not yet know why it is that healthy to us. 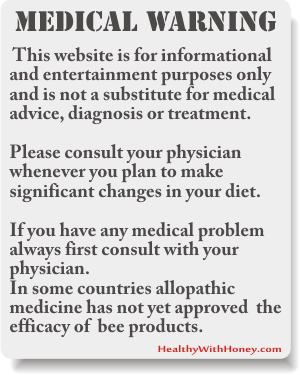 Or pollen, propolis, royal jelly, beebread…..
And Monsato didn’t think of this? Hard to believe. We already have fake honey on the market shelves. It’s not difficult to replace honey with a modern honey. The tomatoes we eat today are not the tomatoes our gradparents were eating. They are bigger, redder and … plenty. And are tasteless and full of chemicals. We can have honey just like that! So, why do people care? Why do they put words in Einstein’s mouth? Because for the last decades, there is a “trend” that says honey is good in preventing cancer, and diabetes, and gastritis, and Alzheimer’s. And we can even use it to treat some of these terrible diseases. That’s why! 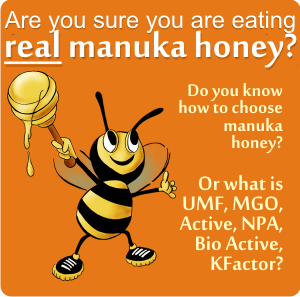 Because allopathic medicine failed in killing super bugs, and some researchers proved manuka honey did kill them! That’s why! If there are natural products that can heal us, then the big pharmaceutical companies are in danger. Think of that! Not much. The powerful people can do something, if they are interested. Otherwise, I don’t believe there is something major that we can do. Except for, of course, turning to the help of Einstein and spreading the word over the Internet. In Europa, the two dangerous neonicotinoids were banned in some countries. The results are still in debate. Other supporting people offer their example. Like it did one of my favorite actors, Morgan Freeman. 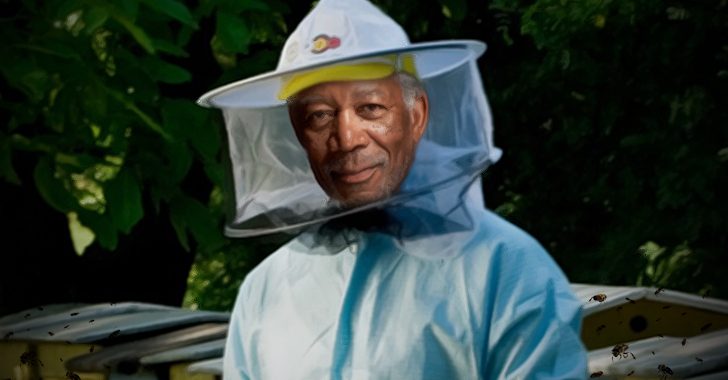 Morgan Freeman has become an amateur beekeeper! He is funny, as always, and with that waggish sense of humor and serenity he explains what he did: took 26 hives and placed them on his 124-acre ranch in Mississippi. Did this help much in saving the bees? Of course not. But he sets an example and eats raw fresh honey. In an interview at The Tonight Show Starring Jimmy Fallon, Freeman says he doesn’t feel the need to wear a protective gear, such as a face net. Why not? Because he’s one with the bees! Well, after playing God for so many times, he may have become a highly spiritual person. It makes sense. Watch the interview. It’s fun. 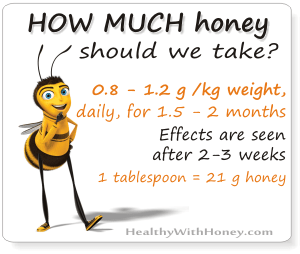 What can we do to save our honey? 1. What we usually do: spread the word. We have all become so good at sharing and liking, that all we have to do is to share it on a social network. Then people from all over the world will learn more about bees and honey and soon there will be a conscience of honey through all people. And big, important people will Do things. 2. Buy from your locals. If you buy their honey you get yourself an unprocessed product, thus a better one, and you will support the beekeeper. He manages to sell his honey and continues his job. If you cannot find beekeepers to buy directly from them, then buy raw honey from naturist shops. This is a favor you will do it to your body. 3. Hope. It may sound childish, but I believe that keeping a positive thinking does make a difference, even to a global scale. Sending good vibes into the universe around us, may influence it in good. It doesn’t cost anything and makes us feel better. After all we feel better when having positive attitude than when having a negative one. So let’s hope and pray for the powerful people to be inspired and take the right decisions. Do your think there is something else we can do? Neonicotinoids are poison to bees and our honey! What causes CCD? Do pesticides kill bees? Or radiations? Pathogens? Aliens? I love the Morgan Freeman clip! He is so funny. 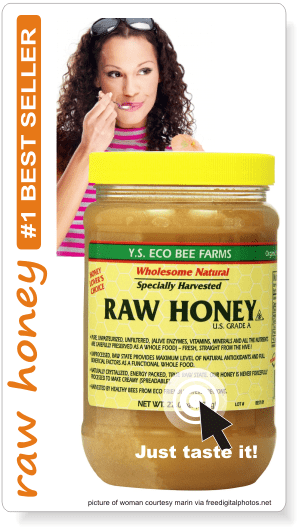 I also love honey…real fresh honey…not boiled to death blah honey ish product. I would like to invest in a hive or two. I am currently trying to get a flowerbed going so my bees will have a sustainable food source. I am excited to begin! Oh, you do that! Morgan Freeman was a good precursor of this action. Flea, the bassist of Red Hot Chili Peppers also took 3 hives with over 200,000 bees and placed them in his backyard. He posted lots of pictures of himself as a beekeeper and in all of them he seems passionate and happy! Oh, I have never heard about Robobees. I also use honey as a medicine. I use it to loose fat. It is said that honey contains high level of anti-oxidants, so I use it. For sure U have felt the effect of it. But finding quality honey is the problem. The commercial products have lot of sugar added. As you mentioned I always buy from local sellers. Hi Kasun, honey does contain high levels of antioxidants, but not all of it. It is said that the darker the honey, the more antioxidants it has. But this is true if we compare fresh honeys. Because honey tends to darken with time, or with heat. So, this is not a criteria for us people to choose. But scientists said the following honeys have more antioxidants: honeydew honey, sweet chestnut honey, heather honey, buckwheat honey, tualang honey. As for losing fat with honey, I’m not quite sure about this. 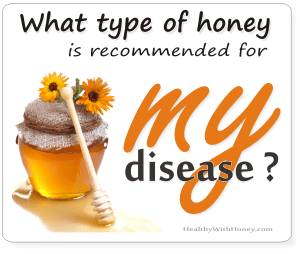 Please read the article I read on this: Can honey help you lose weight? The truth, please! 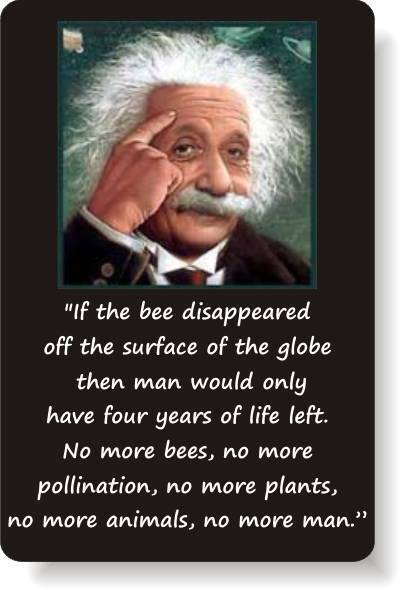 I totally agree that we need to save the bees in our world. I guess that’s why they made Bee Movie as well – to give an awareness of the bee population. Bees are very smart creatures. They have 2,000 neurons in the brains. Imagine with that amount of neurons, a bee can fly, gather pollens, make honey with pollens, build a bee hive, protect their community and etc. Yes Joshua, bees are amazing creatures. I wrote some articles here about this: Unbelievable things about honey bees!, – that’s so interesting to see how the Asian bees know hoe to destroy a giant hornet, while the European honeys cannot do that., Do honey bees communicate? -you bet they are! or Can a honey bee see, smell, taste, touch, speak? The jobs of a bee. What is the life of a bee? Take a look, if you like bees, you’ll like to know how different they are from us. A garden community, that’s a great idea. They are awesome, I know, my mother lives in the country and sends me some, pretty regularly. They are smaller and uglier, but the taste is beyond comparison. I’m glad you agree with the fake quotes. Yuppy! What a funny article. You have a great sense of humor. I live in a highly populated area. And I have fruit trees. We do not use pesticides in our yard. But I am sure my neighbors do, because frequently (weekly) I find dead bees on my drive way or on the back yard patio. It does make me feel a little sad. I had not though much of finding a local beekeeper. Well they could not be too local, but I am sure I could find one in my state. Anyway, I think I will do some research and see where I could find a beekeeper and support them. Thanks for the humor and the idea! Bees die all the time, and pretty quickly. Female honey bees live up to 6 weeks in the summer time, or 6 months during winter. Males live even less, from several days to a maximum of 50 days. So, yes, you’ll see them dead, especially at the end of the summer, it’s a normal process. The CCD refers to their disappearance. They simply don’t return to their hive. They will eventually die somewhere, lost. This happens in the US, Europe and recently New Zealand.